How to Shop for the Perfect pair of Diamond Earrings in Melbourne? Woman…one word but fits easily in many roles. She is a loving mother and a fiery business associate; she can be a comely housewife, but she is also a top executive in a multi-national firm; she is a caring sister but not to forget a renowned artist. Be it any role, a teacher, a baker or a friend, a guide, women are just perfect in whatever they do.  As a tribute to all those glorious ladies out there, GN Jewellers has designed an intricate collection of diamond earrings in Melbourne. Like the distinctive nature and beauty of women, each piece of the enthralling collection of the diamond earrings in Melbourne is unique, showcasing the dazzle of diamonds in diverse designs. As we all know, what we wear defines us, so to suit everyone’s exclusive style, GN Jewellers in Melbourne has included majestic stud earrings, hoop earrings, drop earrings and dangles in this ensemble. Whatever the occasion, a little sparkle never hurts. Whether you are planning on a casual day out or a lavish dinner date, the diamond earrings in Melbourne never fail to add an elegant touch. But, how to pick the right diamond earring for women? 4 C’s of Diamonds: Always pay attention to the cut, colour, clarity and carat of the diamonds before purchasing the glittering earrings. The worth of diamonds rests precisely on these attributes. Settings: The setting of a stone speaks a great deal about the design of the diamond jewellery. Claw setting, pave setting, bezel setting, and the many other diamond settings not only hold the diamonds in place but also contribute a lot to the appearance of the earrings. So, while shopping for diamond earrings in Melbourne, check out what sort of settings capture your attention. Style: In the dazzling world of diamonds, for every occasion, there is a unique style. For instance, while moving out to your work place, you can wear a pair of diamond studs and gather a ton of compliments from your fellow mates. Again, for a party, sleek, long diamond danglers definitely steal the show. Shade of the Metal: The classic choice of metal for diamond jewellery is platinum. But, nowadays, to lend a chic and modish outlook, the diamond earrings in Melbourne are forged in diverse shades of gold as well. The bright and bold yellow gold, pristine white gold and plush rose gold or pink gold, all of these metals cast a unique charm to the earrings for women. So, to look extra peppy, you can select earrings that match your skin tone the best. Now that you know exactly how to forage for the perfect pair of diamond earrings in Melbourne. Indulge yourself to the luxury and fire of divine diamonds by buying yourself a pair of twinkles.